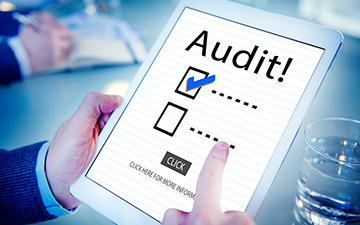 Toronto, April 3, 2019 – Canada’s audit regulator says significant inspection findings more than doubled in 2018 from the previous year, though overall audit quality has improved in the past 15 years. The Canadian Public Accountability Board (CPAB) has issued its annual inspection results for 2018, reporting significant findings increased from 15 in 2017 to 34 in 2018. A significant inspection finding is defined as a deficiency in the application of generally accepted auditing standards that could result in a restatement. According to CPAB, the 2018 findings were particularly prevalent in audits where business acquisitions had occurred, and in new industries such as cryptocurrency and cannabis. CPAB's inspections resulted in five restatements of public company financial statements in 2018. Big Four firms: 80 engagement files; 16 with significant findings. Four national/network firms: 23 engagement files; 10 with significant findings. Six large regional firms: 19 engagement files; 8 with significant findings. Adds Paradine, “In the future, enhanced firm quality management systems will be critical to achieving sustainable, high quality audits." CPA reported, however, that “while progress has been made, we found a lack of robust documentation and formalized self-assessment mechanisms across the firms.” While the Big Four firms (Deloitte LLP, Ernst & Young LLP, KPMG LLP and PwC LLP) “must continue to focus on enhancing their quality management systems,” CPAB found a higher prevalence of problems at the mid-sized national firms, with almost half of engagement files with significant findings. Unlike in the U.S., where the Public Company Accounting Oversight Board posts inspection reports of individual firms online, CPAB does not identify specific firms in its public reports but rather groups of firms. The mid-tier market includes BDO LLP, Grant Thornton LLP, MNP LLP, and Raymond Chabot Grant Thornton LLP. The Big Four firms audit approximately 98 per cent of all Canadian reporting issuers by market capitalization. Helpfully, CPAB states that the mid-tier group audits about 670 public companies, while a third group, comprising six large regional firms, audits about 950 public companies. Deficiencies related to auditing fair values in business combinations, impairment of assets and revenue recognition represented approximately half the significant findings of CPAB’s 2018 inspections cycle. The other half related to significant but non-complex account balances and transactions streams where basic audit procedures were either not performed or not performed appropriately. Public companies that hold or trade cryptocurrency assets are also a challenge. Recently, Reuters reported that firms are “backing away” from the sector, and cryptocurrency companies are searching for new auditors. In December 2018, CPAB published “Auditing in the Crypto-asset Sector,” outlining its expectations of auditors. CPAB also singled out data analytics and the processes of matching accounts, data visualization and automation of traditionally manual procedures. By Canadian Accountant staff. Download the CPAB Quality Insights Report: 2018 Inspections Results.